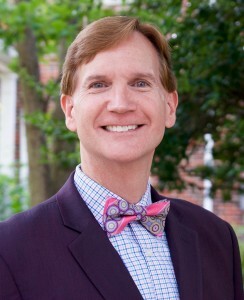 Christian Brothers Conference (CBC) will welcome Jim Lindsay as director of administration effective October 24, 2016. Lindsay brings nearly 30 years of leadership and management experience. After serving for nine years as administrative director of Christ House, a medical recovery residence for homeless men, Lindsay spent the past 20 years as executive director of Catholic Volunteer Network (CVN). CVN is a membership organization with nearly 200 faith-based programs in its network that place more than 20,000 full-time volunteers throughout the world. Lasallian Volunteers (LV) is a member of CVN. Aside from his work with the LV program through CVN, Lindsay has long-standing Lasallian connections. As director of administration, a new role at CBC, Lindsay will be responsible for human resources, financial management and staff management, among other duties. Brother Donald Johanson, FSC, chair of Christian Brothers Major Superiors (CBMS), the board to which Lindsay will report, praised his longtime dedication to service. In addition to earning a bachelor’s degree from La Salle University, Lindsay earned a Master of Divinity from The Catholic University of America in Washington, D.C.